Learn about the art of portrait sculpture from artist Vanessa Di Tullio. Get inspired by works in the current exhibit Face to Face: Looking at Objects That Look at You and try your hand at your own work of art. 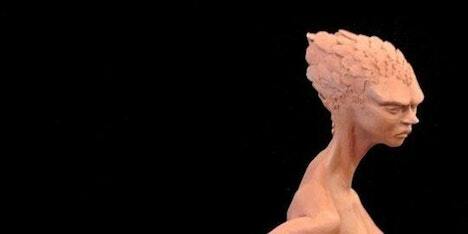 Members of the workshop will learn how to sculpt the human face and head out of oil based clay. The workshop will go over how to make an armature and how to work with this specific clay. We will be going over basic human head anatomy in order to best understand how to sculpt the face. The busts will be about 8'' tall. This workshop will be held inside, please wear clothing that you dont mind getting dirty. All materials are included in your registration fee.